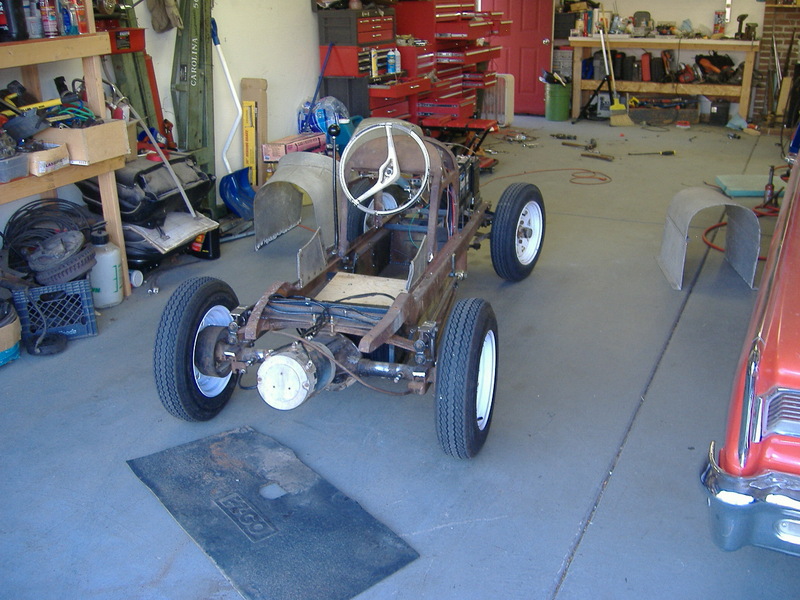 EV Midget Build – Part 7: Wiring, Body, and Test drive! This crazy idea of mine was about to come to life. 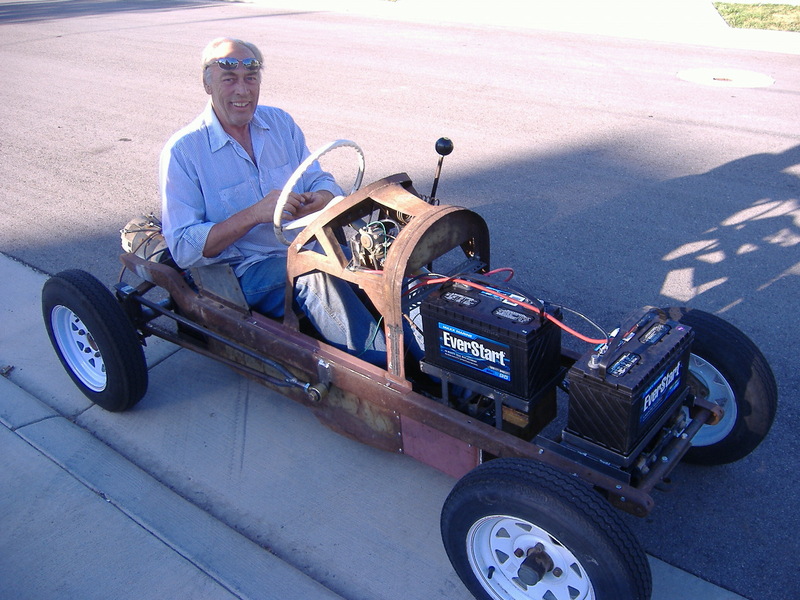 The midget only needed wiring to be fully functional car. (Car? Toy? I don’t know, or care.) So, off we set, plying our electrical skills. 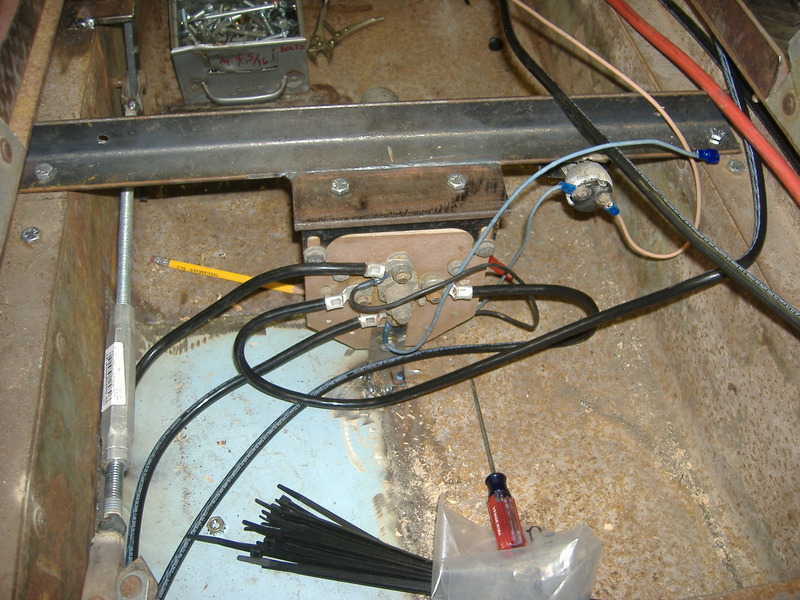 There are four cables looping back and forth from the throttle assembly to the resistor pack. Click it for more fun with electrons. I bought all new 6 gauge cable from Lowes and all new terminals from Bolt Center. The cable isn’t meant for automotive applications but it worked well because it has fewer strands than standard battery cable, and is therefore stiffer and more easily shaped. 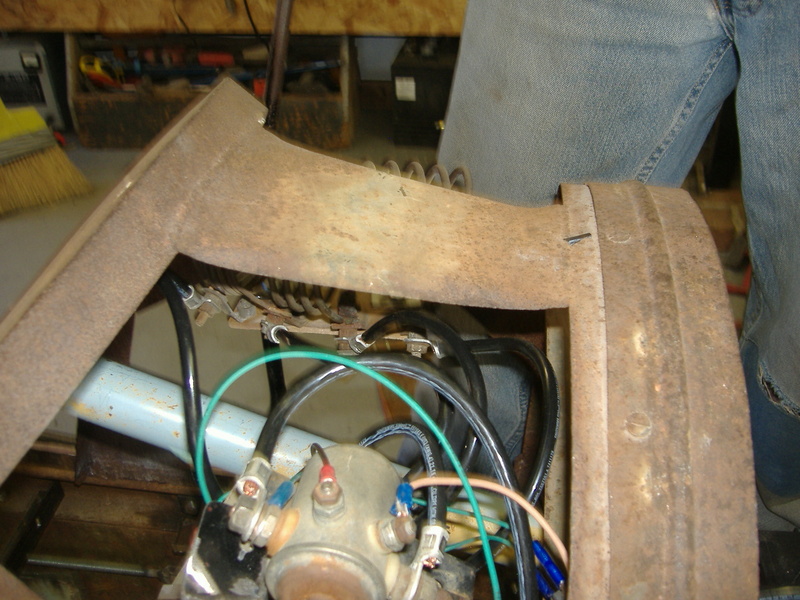 We started with the throttle assembly/coil pack connections, then wired up the forward/reverse switch and then the motor. Finally, we wired the three batteries in series to achieve the required 36 volts. Forward/Reverse switch - rear view. So there it is. In the above photo, you can see the final connection to be made. Once we touched that cable to that battery terminal, everything should light up and go. The moment of truth. So, we connected it. There were no sparks, so we turned on the key and put it in forward…and pushed the throttle pedal…nothing. Dead. I hadn’t tested the golf cart before I tore it apart, so there could have been any manner of problems at that point. So, we started troubleshooting. 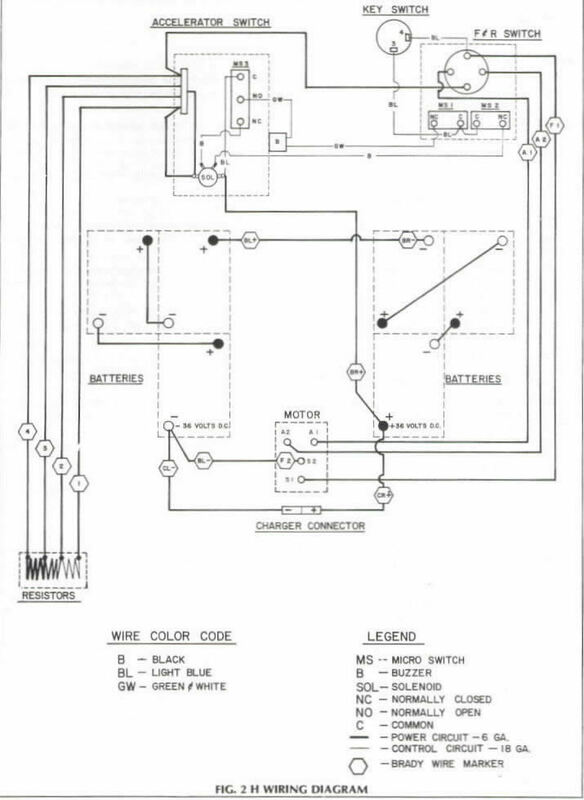 We looked at the wiring diagram, we tested all the circuits, everything was correct. So why wouldn’t it run? The answer was that the key switch, of all things, had too much resistance inside it. It was letting voltage through, but not enough amperage to engage the 50A mag switch that lights up the whole drive system. So we jumped the switch with a direct wire and presto! A running midget! So, we all went for a ride. Sam out for a test drive. This is, by far, my favorite photo of the midget. That's my dad, driving his dad's midget, on the first day it was ever driven. His smile says it all. 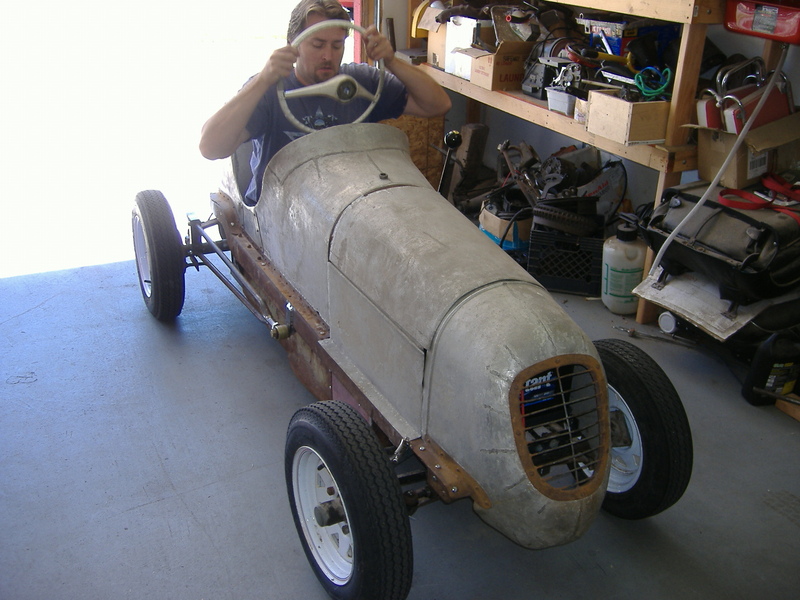 Next, we pulled it back into the garage and added the body. This was one of the easiest parts of the build. Whoever fabricated the body and frame did a great job because all the bolt holes lined up nicely. Sam again. Of course we had to test drive it with the body. He and I are both 6'4", so the only way to get in and out of the midget is to take off the steering wheel. Stay tuned for more on the midget’s final touches and its exciting adventures. 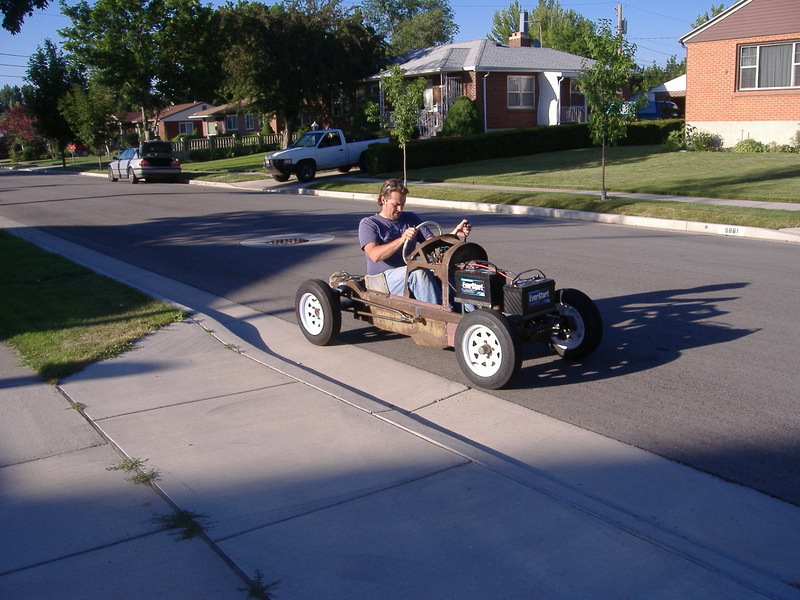 This entry was posted in EV Midget Build, It's Electric!, Race cars, Sweet videos. Bookmark the permalink. 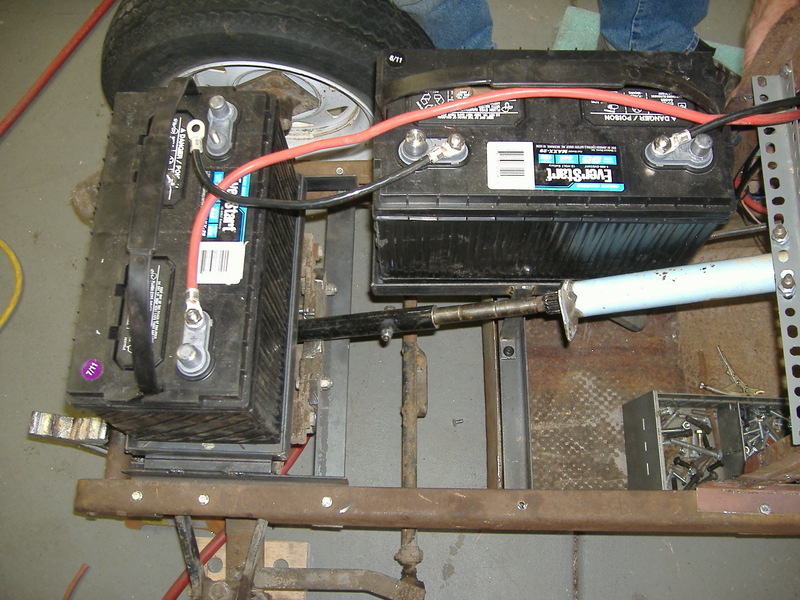 2 Responses to EV Midget Build – Part 7: Wiring, Body, and Test drive! Seriously thought, seeing you drive it is awesome! What a cool car.